Fashion and style is all about creativity. 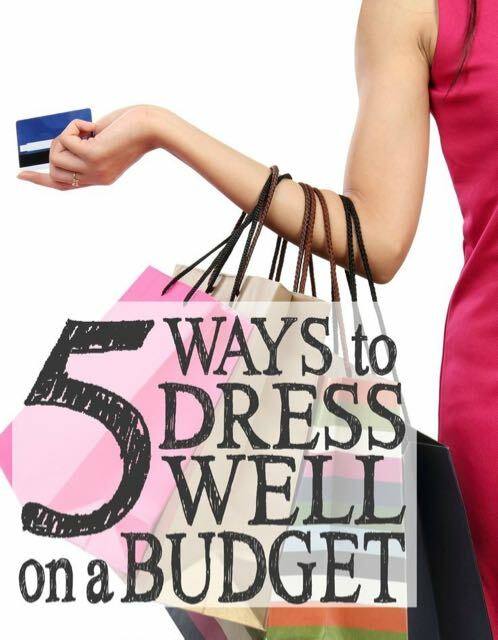 Creativity really comes in handy when you’re trying to get the most style for your budget. Your entire wardrobe magically expands when you realize the variety of ways to maximize what’s in it. Seek inspiration everywhere (women you come across, online, in magazines, on TV). Adapt the ideas to fit your body/lifestyle/budget. Become familiar with what works for your body type, skin tone, lifestyle and personality. Staying within your comfort zone of style reduces the time it takes to shop and increases your style successes. You’ll be able to shop with more focus which is helpful when your hunting for treasures in the clearance section. Shoes, jewelry, brooches, belts, and scarves can instantly take an outfit from frumpy to fabulous. Most accessories can be found a budget-friendly prices! Adding a trendy accessory to a classic piece can keep your style updated without the need for a new wardrobe every 6 months. 4. DRESS IN YOUR COLORS. Your color choice can make or break a good outfit. Keep your outfits in three colors or less for the best look. Become aware of good color combinations and ones that are in your color season. For color combination inspiration, look to store displays, interior design trends, the color wheel, and Pantone. One of my current favorite palettes is light lemon yellow + heather gray. Seek inspiration everywhere (women you come across daily, online blogs and websites, in magazines, on TV). Adapt these ideas to fit your body/lifestyle/budget. Get more! Order your MSP Personal Profile Membership and get immediate access to all the weekly style articles and body type specific shopping guides.